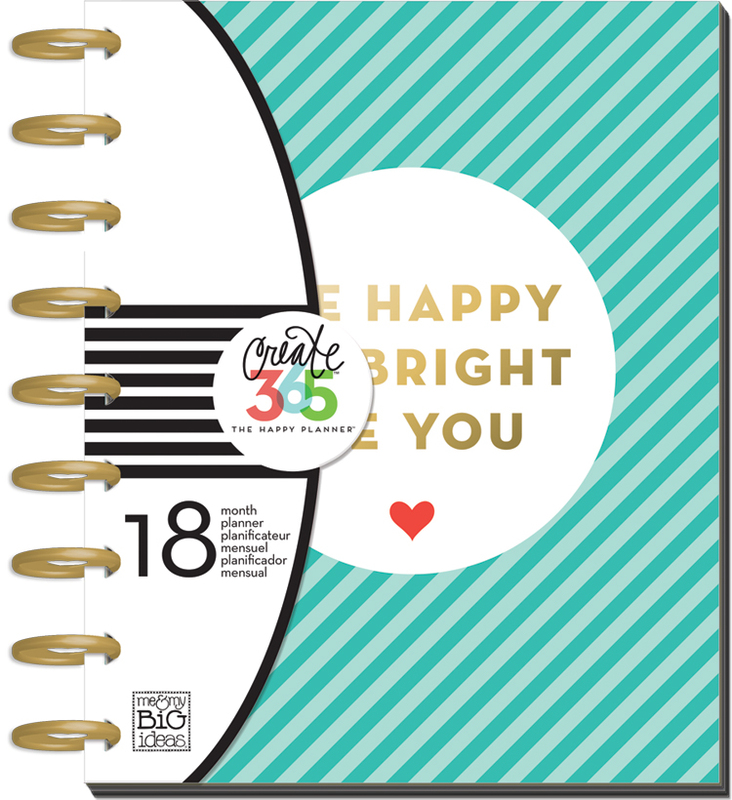 Imagine our surprise when two of our Design Team members decorated their 'Be Bright' Happy Planners® both using the 'MOM' sticker value pack! Great 'planner babe' minds think alike! We're glad Michelle Weissert (IG | blog) and Gretchen Klobucar (IG | blog) got the memo because it's so fun to see how their two different styles shine through, even after using almost the same products! "I'm not a mom to humans - I just have fur & feather babies, but once I got my hands on the 'Mom' sticker value pack, I realized that it works for everyone! While there are definitely a lot of stickers that are gorgeous (and I'll have to save for the future), there're so many decorative and functional stickers that will work for any spread. I used some to add a little flair to my dashboard and even cut out a vacation sticker for my trip to San Diego! There is a full sheet of star stickers in it so I used those for a couple days in my monthly spread. The pack contains stickers for your kids' sports games and practices, so I used one of those to notate Super Bowl Sunday. 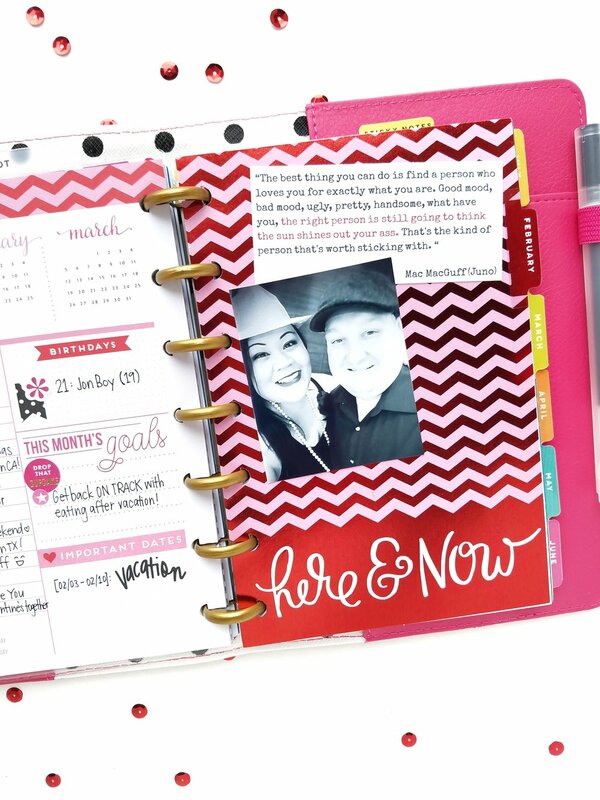 I'm so excited about how fun and PINK these pages are in my 'Be Bright' MINI Happy Planner® and it'll be safe and sound in my purse with the 'Hustle' Deluxe Cover to keep it protected!" "I wanted to prepare for February by keeping things pretty simple. 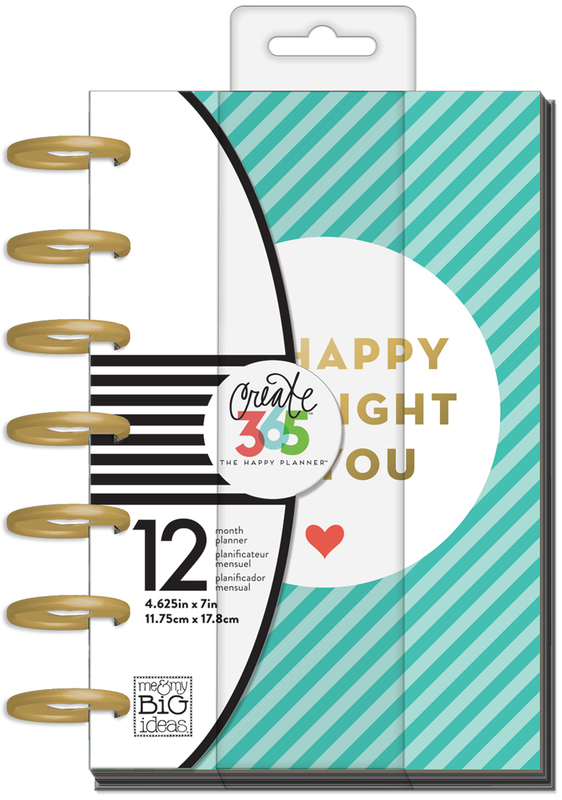 I got out ONLY ONE Happy Planner® sticker value pack: the 'Mom' pack. 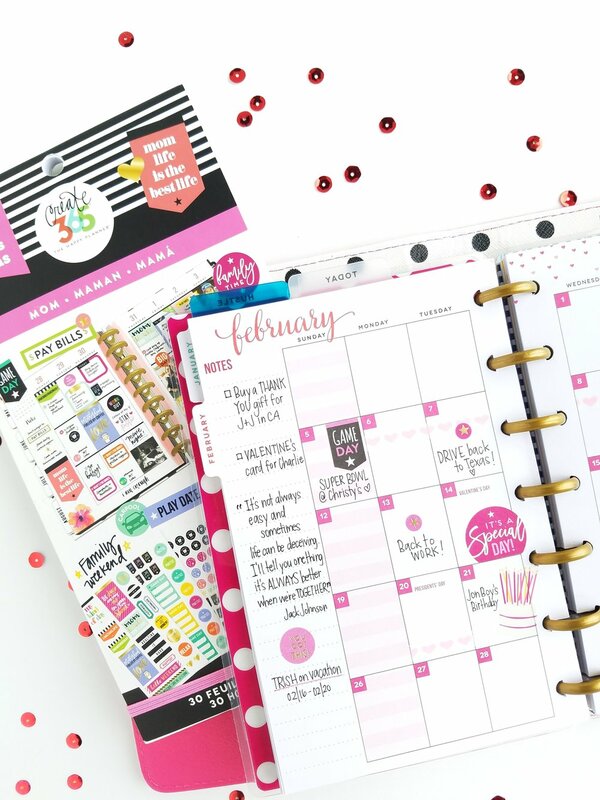 The mom-themed pack is great for every functional Happy Planner® babe because it is super productive. The only extra sticker I added was a BIG statement sticker from the 'Love' themed jumbo mambiSTICKS™. 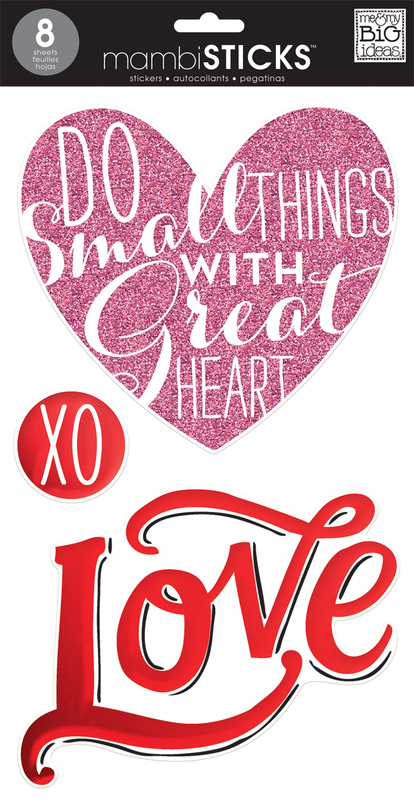 After all, February is the unofficial month of love. My favorite happy coincidence is when there are a few boxes in the monthly view with no dates. I used that extra space for two things: my exercise goals in the top left corner, and my other top three goals in the bottom right corner. Don't forget to utilize this space when you have it. Overall, this feels festive AND functional. 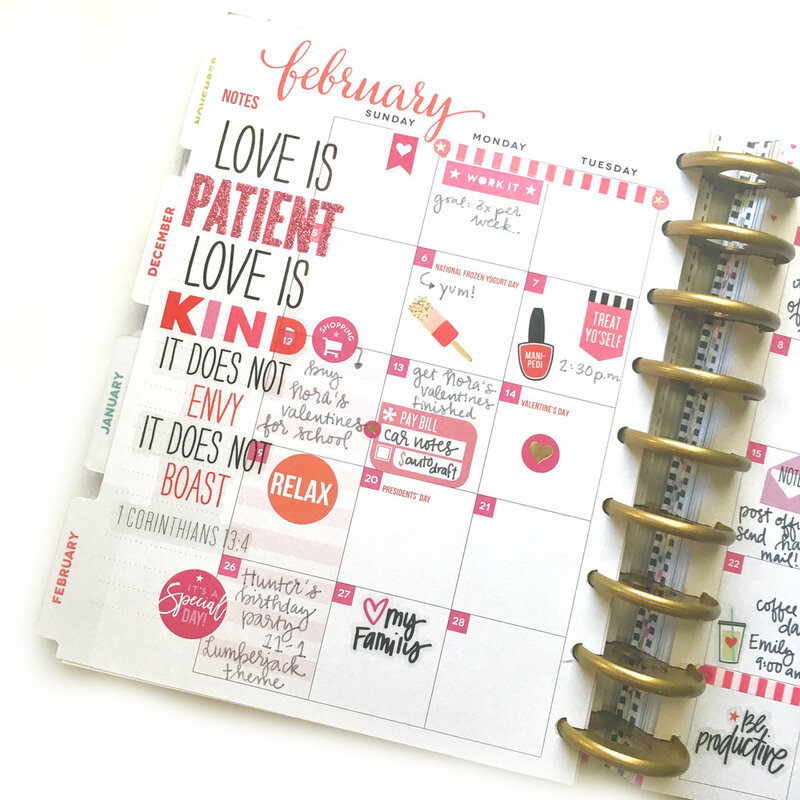 I kept with a pink and red theme to match the established color scheme in my 'Be Bright' CLASSIC Happy Planner®, and I love that all of my important monthly appointments are all in one place." Shop supplies Michelle & Gretchen used by clicking on the items below.